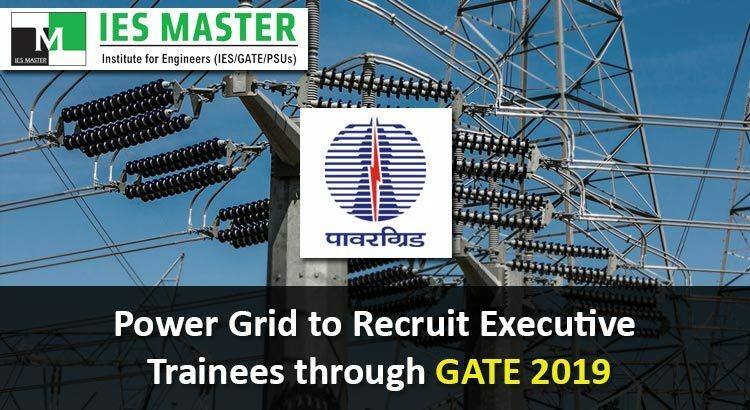 Power Grid Corporation of India Limited (PGCIL or POWERGRID), which is a Navratna conglomeration and the Central Transmission Utility (CTU) of India, has announced the recruitment plan for its 24th batch of Executive Trainees (Engineers) from Civil, Electrical, and Electronics streams through GATE 2019 scores. 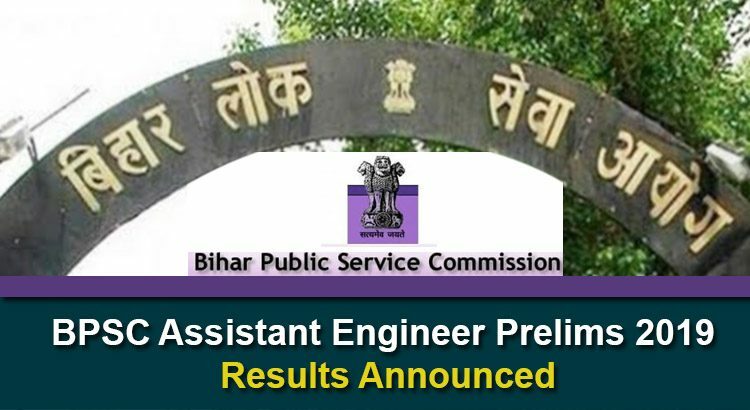 The Bihar Public Service Commission (BPSC) has announced the results of Assistant Engineer (AE) Civil Prelims examination. Students who appeared in BPSC AE Prelims 2019 exam on 15 September, 2018 can check their result on the official website of BPSC i.e. bpsc.nic.in. Along with the results, BPSC has also released the final Answer Key of General paper for AE prelims exam sets A, B, C, and D on its official website. Staff Selection Commission (SSC) conducts pan-India recruitment examination to hire suitable candidates as Junior Engineers in various government departments of Civil Engineering, Electrical Engineering, Quantity Surveying and Contract etc. Candidates preparing for SSC-JE exam are quite anxious while preparing for SSC-JE as millions of engineering students appear in this exam, making the competition tough. 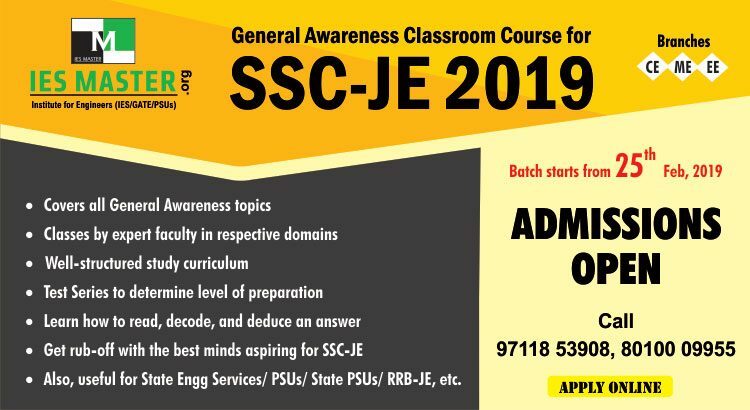 To help engineering students prepare for the General Awareness section of the upcoming SSC-JE exam, IES Master has come up with General Awareness Classroom Course for SSC-JE 2019. 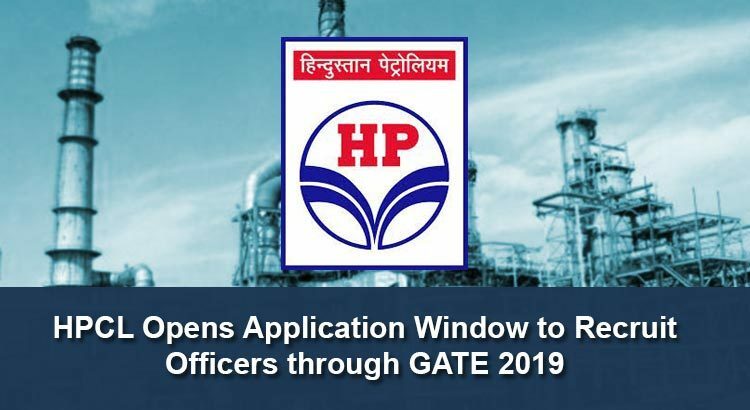 Hindustan Petroleum Corporation Ltd. (HPCL) has begun inviting online applications for the recruitment of Civil, Mechanical, and Chemical engineers as officers through GATE 2019 scores. 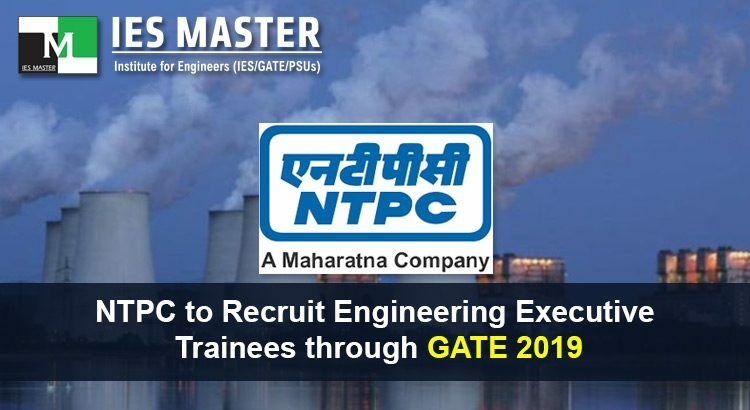 Candidates who had applied for GATE 2019, and going to write GATE 2019 on 02, 03, 09, and 10 February, 2019 can apply online starting from 15 January, 2019. The last date of online application is 16 February, 2019. 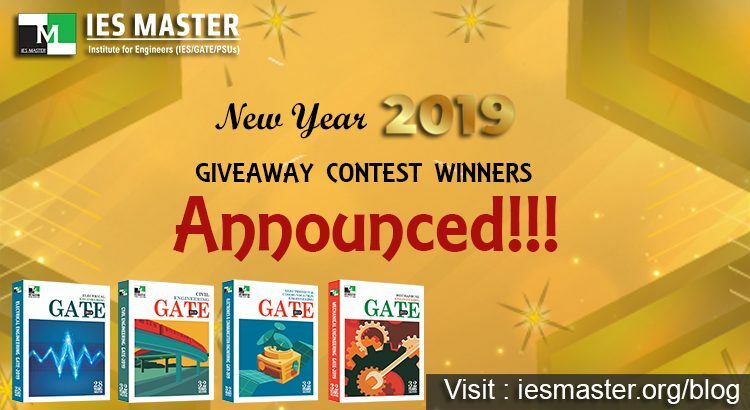 IES Master New Year 2019 Giveaway Contest Winners Announced!!! IES Master would like to thank hundreds of engineering students, aspiring for government sector and PSU jobs through GATE, for participating in IES Master Giveaway contest. To participate in this nationwide IES Master Giveaway contest, engineering students from CE, ME, EE, and ECE branches had to Like the post, Follow ies_master, Tag three friends aspiring for ESE or/and GATE, and write a comment about their future career plans with #IESMastergiveaway from 30thDecember, 2018to 10th January, 2019. If you have landed on this webpage then it means that you have either just written ESE 2019 Prelims or have just qualified this preliminary stage of ESE 2019. Whatever the case may be, it is the right time to start preparing for the second and most important phase of ESE 2019 i.e. ESE 2019 Mains. 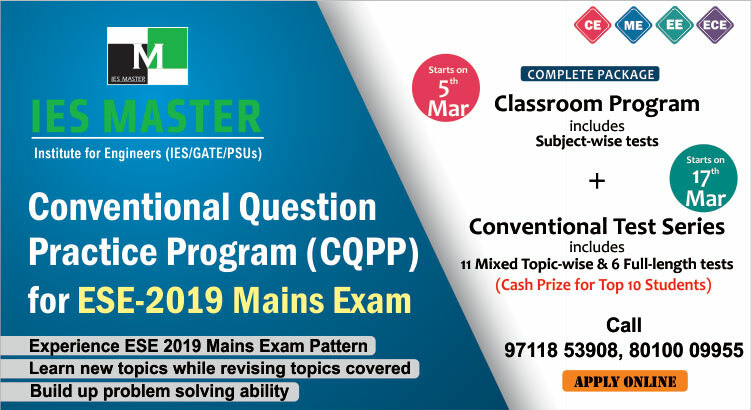 The ESE 2019 Mains exam is scheduled to be conducted by the Union Public Services Commission (UPSC) on 30th of June, 2019, which means that you have around five and half months to gear up for ESE Mains 2019. The first phase of Engineering Service Examination 2019 (ESE 2019) i.e. ESE 2019 Prelims has been conducted by Union Public Service Commission (UPSC) on 6 January, 2019 in two shifts – morning shift from 10 AM to 12 PM (two hours), and afternoon shift from 02 PM to 05 PM (three hours). The ESE 2019 Prelims exam included two papers – Paper-I (General Studies and Engineering Aptitude) and Paper-II (Engineering Discipline). The ESE 2019 Prelims Paper-I carries 200 marks, and the Paper-II is of 300 marks. The ESE 2019 Prelims answer key would be released by UPSC in a couple of days. 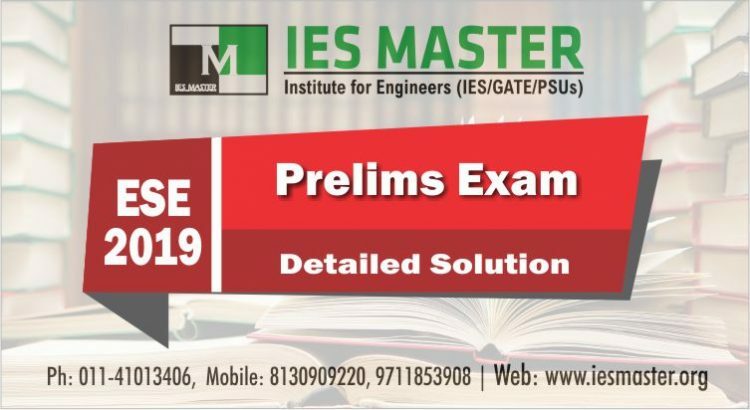 However, if you are impatient to check the answer key of ESE 2019 Prelims, then IES Master has released its own ESE 2019 Prelims Answer Keys with detailed solutions for Paper-I and Paper-II. The Indian Institute of Technology (IIT) Madras has made available the Admit Card for GATE 2019. Candidates, who have registered for Graduate Aptitude Test in Engineering 2019 (GATE 2019) through GATE Online Application Processing System (GOAPS), can download their admit cards now.